“The first thing to say about the Ten Commandments is that they exist and their status is that of divine command. They are not Moses’ bright ideas, but God’s categorical requirements. Scripture affirms that the two tables of the law were written directly by God (Exodus 31:18). Thus God told the world what sort of behavior pleases Him: He made this very clear by His ten prohibitions of any other sort of life. Though stated as part of God’s covenant with Israel, the Decalogue shows God’s will for all His human creatures and is thus the place where all mankind’s moral and spiritual education needs to begin. That was true in Moses’ day and is just as true in ours. The second thing to say about the Commandments is that we have largely lost them, and that is our folly. Until quite recently they were basic to the religious training that Western nations gave their young. Before I was ten I was made to memorize them – at a public school! – and so were most children of my day. But all that has changed. Prejudice against memorizing as an educational discipline, against the Old Testament, against law in the church, and against religion in schools has led to a state of affairs in which few in the churches, and fewer outside, can repeat the Ten Commandments, let alone explain them. The Reformers and the Puritans, who wrote literally dozens of catechisms for Christian education based on the three classic formularies, the Commandments, the Creed, and the Lord’s Prayer, would weep over us if they knew how far we had fallen from the standards they set. In a godless and immoral age like ours, ignorance of the Commandments is as great a spiritual weakness as one can imagine. But it is, alas, widespread, and on moral issues we fumble accordingly. 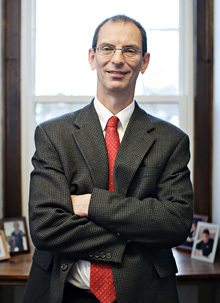 When one of the premier Professors (Thomas R. Schreiner) at the flagship seminary for Reformed Baptists (Southern Baptist Theological Seminary, Louisville, KY) is a proponent of an antinomian view of Christianity is not the whole movement built on a faulty foundation? “When discussing Passover, I noted that believers are not required to observe the feasts, festivals, and special days of the Old Testament calendar. This includes the Sabbath, even though the Sabbath is part of the Ten Commandments (Exod. 20:8-11). 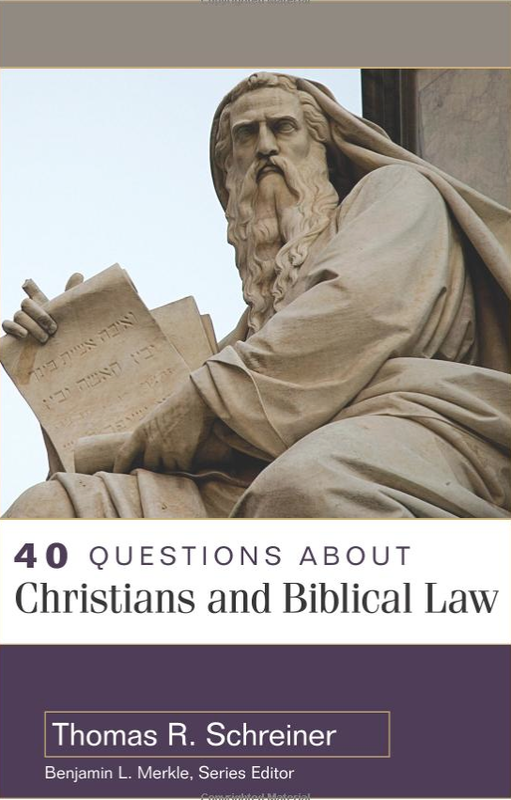 Such a judgment surprises some, but it must be recognized that the entirety of the Old Testament law is abrogated in Christ.” – Thomas R. Schreiner “40 Questions About Christians and Biblical Law” page 91. “Do not think that I have come to abolish the Law or the Prophets; I have not come to abolish them but to fulfill them. For truly, I say to you, until heaven and earth pass away, not an iota, not a dot, will pass from the Law until all is accomplished. Therefore whoever relaxes one of the least of these commandments and teaches others to do the same will be called least in the kingdom of heaven, but whoever does them and teaches them will be called great in the kingdom of heaven.” (Matthew 5:17-19, ESV) -Jesus Christ. This law, after his fall, continued to be a perfect rule of righteousness; and, as such, was delivered by God upon Mount Sinai, in ten commandments, and written in two tables: the first four commandments containing our duty towards God; and the other six, our duty to man. To them also, as a body politic, he gave sundry judicial laws, which expired together with the State of that people; not obliging any other now, further than the general equity thereof may require. The moral law doth forever bind all, as well justified persons as others, to the obedience thereof; and that, not only in regard of the matter contained in it, but also in respect of the authority of God the Creator, who gave it. Neither doth Christ, in the gospel, any way dissolve, but much strengthen this obligation. Although true believers be not under the law, as a covenant of works, to be thereby justified, or condemned; yet is it of great use to them, as well as to others; in that, as a rule of life informing them of the will of God, and their duty, it directs and binds them to walk accordingly; discovering also the sinful pollutions of their nature, hearts, and lives; so as, examining themselves thereby, they may come to further conviction of, humiliation for, and hatred against sin, together with a clearer sight of the need they have of Christ, and the perfection of his obedience. It is likewise of use to the regenerate, to restrain their corruptions, in that it forbids sin: and the threatenings of it serve to show what even their sins deserve; and what afflictions, in this life, they may expect for them, although freed from the curse thereof threatened in the law. The promises of it, in like manner, show them God’s approbation of obedience, and what blessings they may expect upon the performance thereof: although not as due to them by the law as a covenant of works. So as, a man’s doing good, and refraining from evil, because the law encourageth to the one, and deterreth from the other, is no evidence of his being under the law; and, not under grace. Neither are the aforementioned uses of the law contrary to the grace of the gospel, but do sweetly comply with it; the Spirit of Christ subduing and enabling the will of man to do that freely, and cheerfully, which the will of God, revealed in the law, requireth to be done. 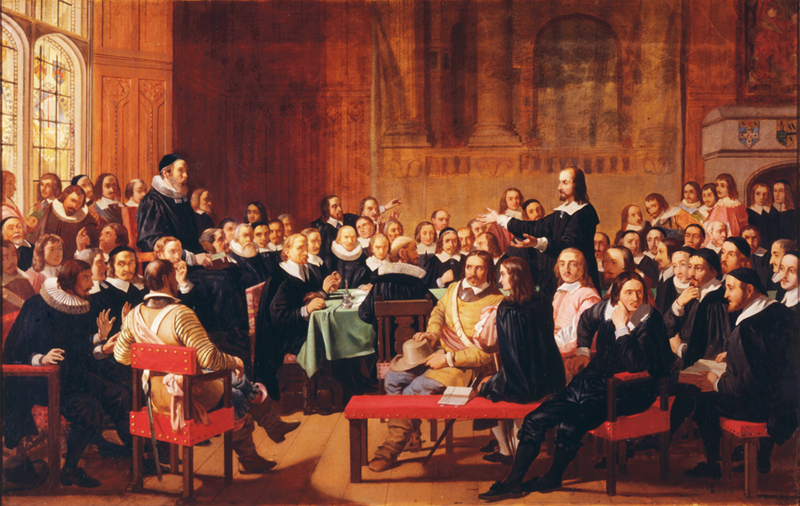 Paragraph 5 – The moral law doth for ever bind all, as well justified persons as others, to the obedience thereof, and that not only in regard of the matter contained in it, but also in respect of the authority of God the Creator, who gave it; neither doth Christ in the Gospel any way dissolve, but much strengthen this obligation. Paragraph 6 – Although true believers be not under the law as a covenant of works, to be thereby justified or condemned, yet it is of great use to them as well as to others, in that as a rule of life, informing them of the will of God and their duty, it directs and binds them to walk accordingly; discovering also the sinful pollutions of their natures, hearts, and lives, so as examining themselves thereby, they may come to further conviction of, humiliation for, and hatred against, sin; together with a clearer sight of the need they have of Christ and the perfection of his obedience; it is likewise of use to the regenerate to restrain their corruptions, in that it forbids sin; and the threatenings of it serve to shew what even their sins deserve, and what afflictions in this life they may expect for them, although freed from the curse and unallayed rigour thereof. The promises of it likewise shew them God’s approbation of obedience, and what blessings they may expect upon the performance thereof, though not as due to them by the law as a covenant of works; so as man’s doing good and refraining from evil, because the law encourageth to the one and deterreth from the other, is no evidence of his being under the law and not under grace. Paragraph 7 – Neither are the aforementioned uses of the law contrary to the grace of the Gospel, but do sweetly comply with it, the Spirit of Christ subduing and enabling the will of man to do that freely and cheerfully which the will of God, revealed in the law, requireth to be done. “It is blessedly true that God does fulfill every good pleasure of His goodness in and through His people, yet it is equally true that they ought to aim at and rest content with nothing short of their fulfilling every divine precept which has been given them. The divine statutes are not only clothed with God’s authority, which we disregard at our peril, but they are also expressions of His goodness, which we ignore to our loss. God manifests His “goodness” to us in many ways, not least in His commandments, which are designed for our welfare. “The sabbath was made for man”—because he needed it for his benefit. They who, like Jonah the prophet, follow their own inclinations rather than God’s instructions “forsake their own mercy” (Jon. 2:8). A life of obedience is not only our duty but our comfort. The divine wisdom has so determined that whatever promotes His glory shall also advance the good of His people. Therefore as He has inseparably connected sin and misery, so He has holiness and happiness. “Great peace have they which love thy law” (Psalm 119:165). “He that keepeth the law, happy is he” (Prov. 29:18). “The way of the transgressors is hard” (Prov. 13:15)’ but Wisdom’s ways are “ways of pleasantness” (Prov. 3:17). 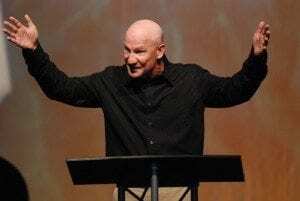 “More serious, in my view, is Keller’s exegesis of the Sabbath-fulfillment in Christ. His view is typical of many evangelical theologians for whom the actualization of the fourth commandment in this age of the Spirit is in its spiritualization: Jesus is the Sabbath (so Keller argues), and therefore we sanctify the Sabbath by resting in him. This position on the fourth commandment has become something of a given in modern evangelicalism. Keller’s view is typical of theologians who are reluctant to hold the traditional position that the resurrection of Jesus Christ has altered the Sabbath from the last day of the week to the first, and that by observing a new Sabbath, on each Lord’s Day, we bring the Sabbath commandment into its own by our worship, rest and profession of the risen Christ. It is difficult, however, to justify Keller’s position. If the law of God is not entirely abolished (which Keller concedes it cannot be, since the gospel forces us to approach the law with a different paradigm from that of religion), then the commandment to keep the Sabbath holy remains. 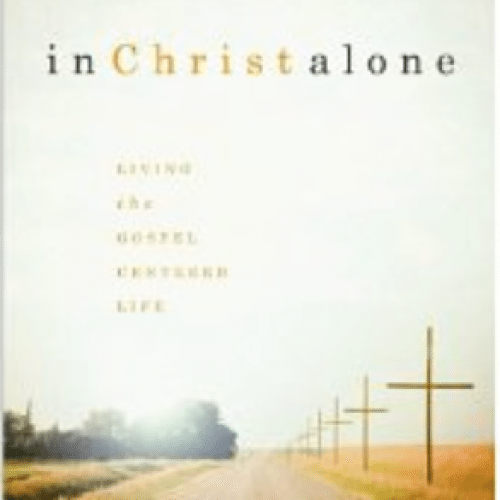 On Keller’s own admission, it must remain as an element which a Christian should ‘study and obey… in order to discover the kind of life you should live in order to please and resemble the one who created and redeemed you’. The problem, of course, is that spiritualizing the commandment is not obeying it; nor does it exhaust its meaning or relevance. The transition from seventh day of the week Sabbath to first day of the week Lord’s Day was a natural one for the church to make in the wake of the resurrection and the coming of the Holy Spirit. The principles of redemption and grace which the older form of the commandment embodied had come into their own. To be sure, the gospel means nothing if it does not mean resting in Christ. But this hardly exhausts the requirement of a command from God which regulates our week and calls for a day of rest and worship. Watch this 3 minute video to see the importance of the Law. Here is another 3 minute video by Richard Rives on the importance of the Law. Why does Paul, in his many letters, say nothing about the Sabbath? (See Colossians 2:16 and Romans 14:5-6.) Do you think the Corinthians, who needed instruction in the basics of the faith (like, don’t get drunk at the Lord’s Supper) were keeping the Sabbath perfectly? Yet not a word from Paul. Why does the Sabbath yield to a ceremonial law, as when a baby is to be circumcised on the eighth day which is also a Sabbath? John 7:22-24. Hi O. -Thanks for your comment. I imagine that you and I will probably not come to an agreement on the role of the 10 Commandments in the life of a believer. If you are interested in reading some material that I believe answers most of your objections I would suggest “Systematic Theology” by Charles Hodge, Volume III – Soteriology, pages 331-335 where he writes regarding objections to the 4th Commandment. “Today, countless numbers of Christians are editing their Bibles. Even though they theoretically accept the Old Testament as part of the Bible, they basically ignore its ethical teaching. 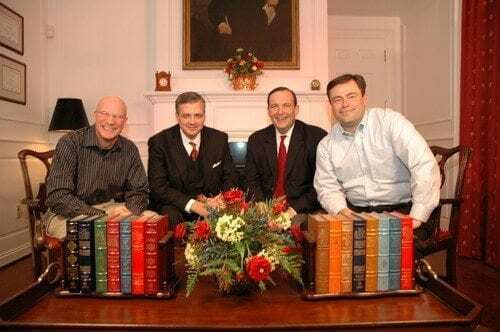 They believe its history and point to its prophecies that have been fulfilled in Christ, but insist that its doctrines and commands must be repeated in the New Testament if they are to be authoritative for today’s church. In effect, they excise from their Bibles a large portion of the Old Testament. In response, Reformed, covenantal theologians affirm the unity of the Bible; whatever the New Testament does not repeal remains in effect. For example, much of what Christians believe and teach concerning marriage and family is revealed in the Old Testament. Our doctrine of the covenant and the place of our children in the covenant is based, in part, upon God’s dealings with His people in the Old Testament Scriptures. Similarly, the foundation for the doctrine of the Sabbath as a Christian institution is laid in the Old Testament Scriptures. We have sought to establish from Genesis 2:1-3 and Exodus 20:8-11 that Sabbath observance is a permanent, moral requirement. This conviction is confirmed by the glorious promise of Isaiah 58:13,14. So, unless the New Testament repeals this ordinance, it remains in effect. Some suggest that Jesus did away with Sabbath observance in Matthew 12:1-14; we have seen, however, that Jesus restored the Sabbath and gave us helpful guidlines by which we are to examine our behavior on that day. There are others who suggest that the apostle Paul repudiated the idea of Sabbath observance. These opponents of New Testament Sabbath base their arguments on three passages. The first is Romans 14:5,6. The second is Galations 4:10,11. The third is Colossians 2:16,17. The opponents of Sabbath-keeping maintain that the New Testament church is no longer obligated to observe a special day, with some going so far as to say that to keep the Sabbath on the first day of the week is a form of Judaizing. According to them, Sabbath-keeping robs one of Christian liberty. An individual may observe a day as he wishes, but he may not require others to observe it. I hope this information helps explain my position. Meanwhile I am attempting to grow in my love towards God and my neighbor. Hey Buddy!, I found this information for you: "Schreiner and The Law". Here is the website link: https://thouarttheman.org/2013/09/18/714/. Thank you.